Bodies of same volumes that are made up of different suspensions have different masses. Mass and volume determine the physical size, which is called density, and is characteristic of each substance. The ratio of mass and volume is a constant size called density. Relative density is the ratio of the density of that substance to a certain temperature and the density of water at the same temperature or some other temperature used as a reference. If we put an aluminum tile (in a form of a square) on one side of a balance scale, and on the other, a tile of wood of the same volume, we will see that their masses are not the same. The aluminum tile will have larger mass. The reasons that the same volumes of aluminum and wood have different masses are their densities. The greater the mass of the body (at the same volume), the body will have a higher density. Density is proportional to body mass. In our experiment, the density of aluminum is higher. In order to show how density depends on the volume of the body, we will report the following: on both sides of the balance scale we put a laboratory glass. In one of the glasses we pour water up to a mark of 100ml, and in the other we will pour sand until the handler comes to zero, until we get the same mass of sand and water. We will notice that the volume of the sand is smaller and can be read from the glass. The smaller the volume (at the same weight) the density will be greater. The density is inversely proportional to the volume of the body. A body with a smaller volume will have a higher density if their masses are the same. A physical aspect that is determined by weight and volume is called density of a body (or substance). The density is a physical size and is denoted by the Greek letter ρ (ro) and it represents an important property of each body or substance. Density shows us how much of the mass of a certain substance stays in the volume unit (1m3). The mass of 1m3 of gold is 19.300 kg, while the mass of 1m3 of water is 1000kg. Density is equal to the body mass put in 1 m3 volume. Density of the body is obtained when the body mass is divided by its volume: . The density unit is a kilogram per cubic meter and this is the derived unit. In addition to this unit, a unit of gram per cubic centimeter is used. The relationship between these two units is: . The density of liquids is determined in the same way as the density of hard bodies when using the density formula. In comparison with hard bodies, the way of measuring the mass and volume of the fluids is different. The volume of fluids is measured with a graduated cylinder. Density is sometimes regarded as the ratio weight / volume. This is known as specific weight. In this case, measuring units is Newton per cubic meter (N / m3). 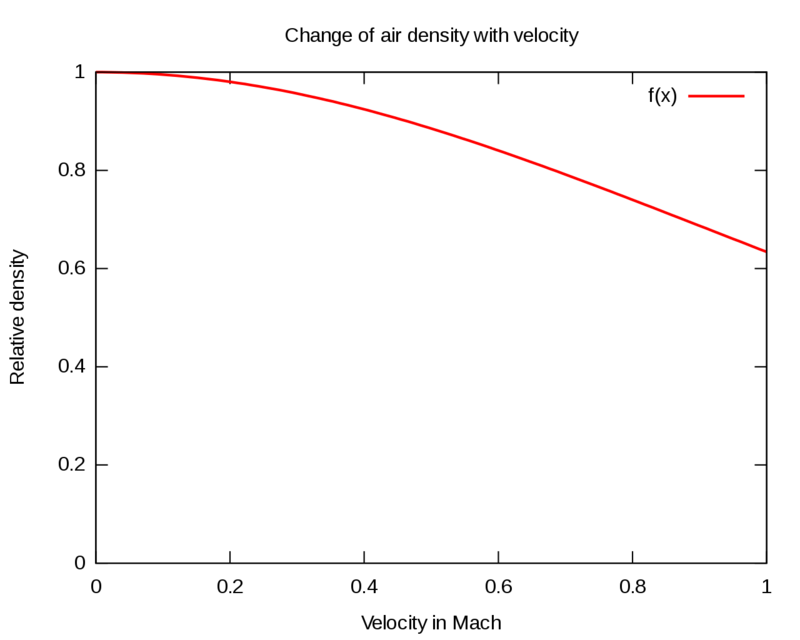 In the practice, the term relative density is also used (relative density is the ratio of the density of that substance at a certain temperature, to the density of water at the same or some other temperature)(d = ρ / ρ0). Determination of the relative density is performed by determining the ratio of the mass to the determined volume of the test solution and the mass of the same volume of water at a temperature of 20 °C. Relative density is dimensionless. Density and relative density at 20 °C are measured on experimental sample by using the reference method (picometry) or the usual method (hydrometry or densitometry using hydrostatic scale). Density is the ratio between the mass and the volume of a body. Relative density, on the other hand, is the ratio between the density of an object (substance) and the density of some other reference object (substance) at some given temperature. Density is measured in, while relative density is dimensionless. Density is unique for each body, while the same body can have numerous relative densities (compared to different reference bodies). Density is by definition the ratio of the mass and volume of a body. SI dimension of density is kilogram per cubic meter – kg / m3. Density is a constant characteristic of a body, but since it depends on the temperature, density is commonly declared together with the temperature at which it is determined. The density of a substance is influenced by composition, temperature, physical state, allotropic shape, electric field, etc. Density is sometimes regarded as specific weight, with a measurement unit of Newton per cubic meter. 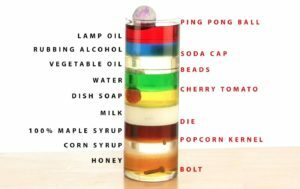 Relative density is the ratio between the density of a measuring substance and the density of some other reference substance at a given temperature (typically water). A substance can be compared to numerous reference substances, thus having different relative densities. Relative density is sometimes regarded as specific gravity. Emilija Angelovska. "Difference Between Density and Relative Density." DifferenceBetween.net. February 19, 2018 < http://www.differencebetween.net/science/difference-between-density-and-relative-density/ >.